Created for The Enchanted Brush Exhibition, hosted by Mazaa Museum, home to the world’s first and largest collection of original artwork by picture book artists. 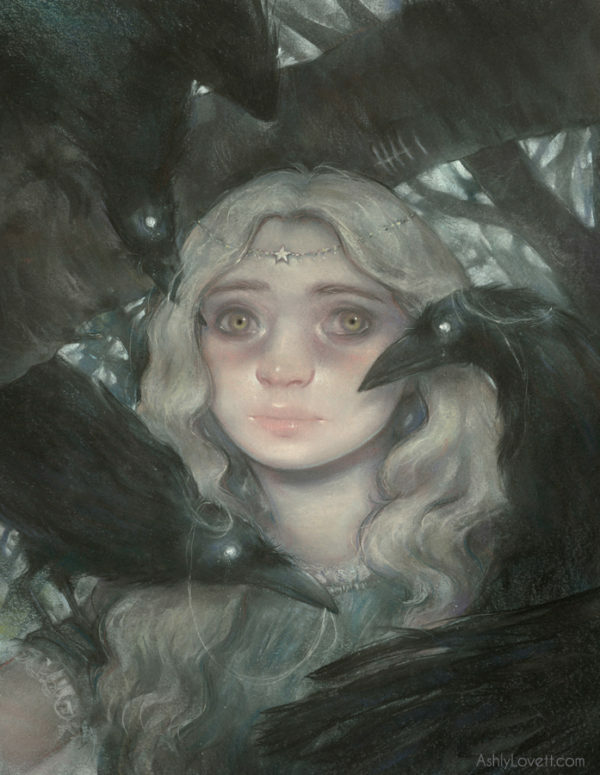 The Maidens of Myth exhibits works inspired by heroic and inspirational female figures from fairytales, mythology, and folklore. I'm an illustrator working primarily with chalk pastel for the horror and fantasy genre, often with a dark romanticism undertone. I've done licensed work for Jim Henson Company, Ad… Show more. Send a message directly to Ashly Lovett. “"Ashly Lovett prepared illustrations of six varied characters for the cover of my book of short stories. Her drawings were in each instance perfectly reflective of the individual nature of the character based on the text and discussions between us. In addition, each drawing was simultaneously realistic and elegant, which is a distinctive aspect of her work, and the colored drawing of the central character beautifully rendered in chalk pastel. She is highly professional and responsive and I give her and her work the highest recommendation." I'm an illustrator working primarily with chalk pastel for the horror and fantasy genre, often with a dark romanticism undertone. I've done licensed work for Jim Henson Company, Adult Swim, Netflix, Focus Features, Archie Comics, Python (Monty) Pictures Ltd, etc. I have a BA in Illustration from Ringling College of Art and Design and I'm a sponsored artist by Koh-I-Noor art supplies. My work has been published in Spectrum Fantasy Art Annual 22, 23,24, and 25, Society of Illustrators of LA, Infected by Art Vol 4 and 5, and others.